Commercial-grade small engines run hot, with oil temperatures reaching 250°F and higher. High heat causes standard-service oils to vaporize and exit the crankcase vent, leading to increased oil consumption. Heat also breaks down oil and forms deposits that lead to piston-ring sticking. Stuck rings fail to seal the combustion chamber and keep oil from entering and burning. As a result, workers must diligently check and top-off the oil to ensure the engine is protected, wasting time and money. AMSOIL Synthetic Small-Engine Oil's heat-stable synthetic base oils withstand extreme heat better than other oils. In lab testing 10W-30 Synthetic Small-Engine Oil reduced oil consumption 61 percent compared to three leading 10W-30/SAE 30 motor oils**. It keeps engines clean for peak efficiency and reduced maintenance. On busy job sites, equipment maintenance can easily be delayed or overlooked completely. If using standard-service motor oils, high rates of oil consumption can leave the engine unprotected for extended periods, and it's only a matter of time before catastrophic wear sets in. AMSOIL Synthetic Small-Engine Oil lasts longer than conventional oil, providing peace of mind that engines are protected, even when maintenance is delayed. 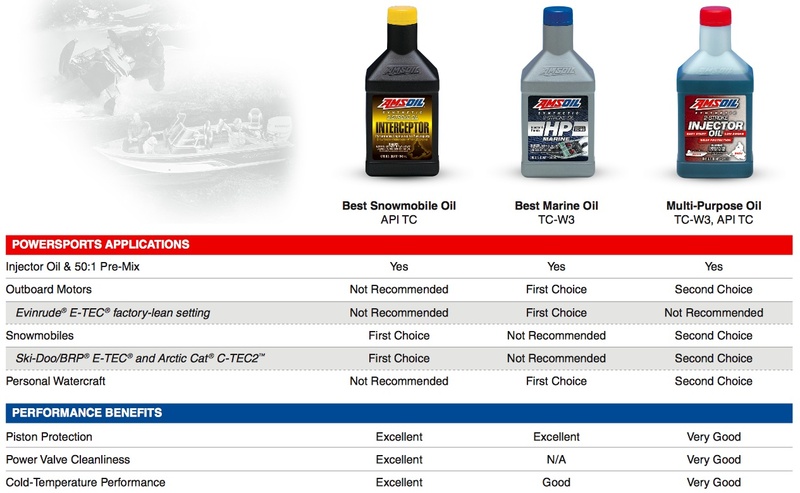 AMSOIL Synthetic Small-Engine Oil is compatible with other conventional and synthetic motor oils. Mixing AMSOIL motor oils with other oils, however, will shorten the oil's life expectancy and reduce the performance benefits. 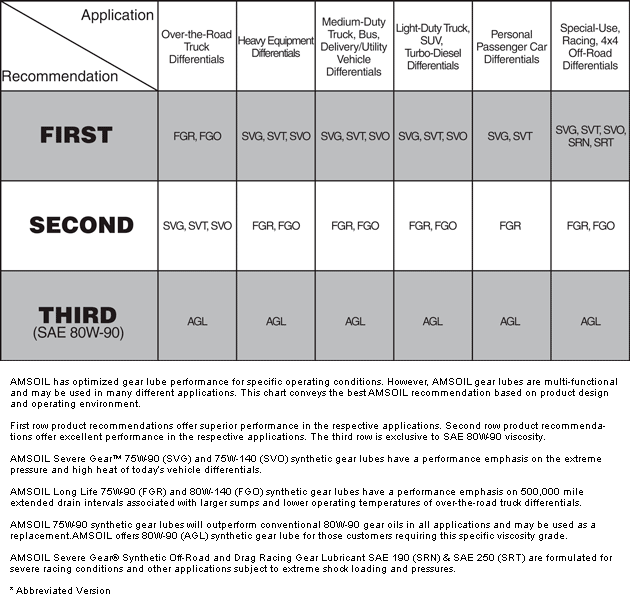 Click here to view the MSDS Data Sheet for AMSOIL ASE. Votes & Reviews: 14 vote(s) and 26 user reviews. The only oil for my mower! I bought a new riding mower and wanted the best oil I could find for it. I found the Formula 4 Stroke small engine oil and liked the fact that it was specifically designed for small engines. This year has been very hot and the grass has grown like crazy so the Amsoil has been put to the test and passed with flying colors. This is the only oil I will put in my mowers from now on. No turning back!! Love this oil!! My mower runs cooler/ quieter and since this oil I don't ever have to add oil between cuts. It's worth Every penny!! We use Formula 4-Stroke in our commercial lawn mowing business...45 deg F to 100 deg F. It is proving a great oil, no consumption, engines still running like new, and the oil still looks fresh at the OCI. At the 10w rating, it will be fine for cool weather mowing. I'd use the 0w40 formula for severe winter OPE use. I use this oil in my 36 inch walk behind mower, the snow blower and a permanent outdoor standby generator. These small engines are still full on the dipstick at their annual oil changes and the oil looks clean. All of this power equipment is now 10 years old and they are still going strong. Thanks for making such a great product for small engines. 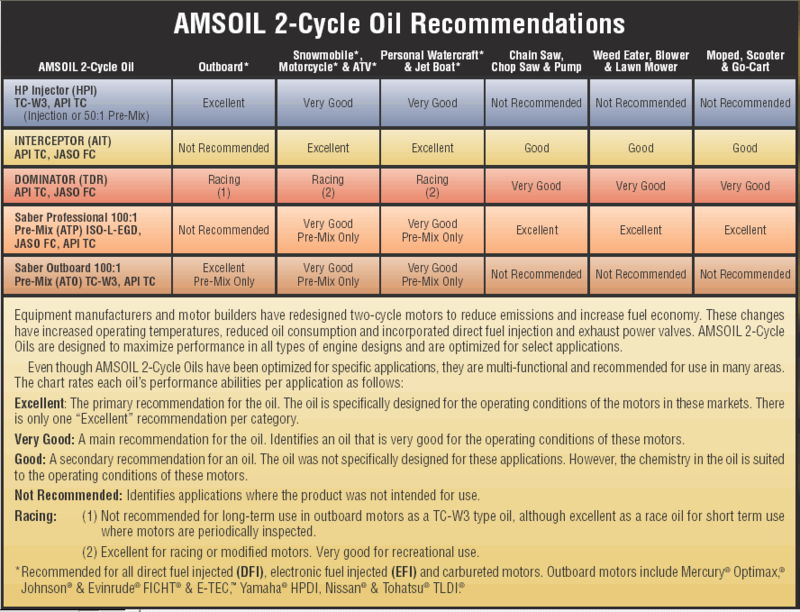 Typical high quality Amsoil product. I use it in my 3 mowers. The oil is second to no other brand. Excellent protection, as you would expect! I use this oil in my walk behind mower & lawn tractor. One change through the season with about 50 hours on the work horse lawn tractor & the oil is still still clean, I almost feel wasteful when I change it. However, I know better. I've used Amsoil for the last 12 years & have not been disappointed. I use this oil in riding and push mower with no problems and know its of the same quality as the automotive oil. I've found Amsoil to be a very reliable especially when I lived in the midwest and will continue to run Amsoil is all my vehicles. I give two thumbs up to the Z-Rod oil as well my '62 Galaxie sure likes this oil. Has treated me well in all 4stroke small engine equipment for over a decade. Have a 10+ year old power washer, generator, and lawn mower that are still running as good as new. I use the formula 4 stroke in all my small engine equipment: pressure washer, lawn mower, engine-driven air compressor, brush mower. I feel it's a quality alternative to brands at local parts stores and it gives me peace-of-mind for longer oil change intervals and severe duty service-just as intended.